General Motors is committed to featuring diesel engine options in an array of vehicles, including the Chevrolet Colorado midsize pickup (shown). General Motors executives reaffirmed their commitment to offering diesel engines across the company's vehicle lineup while speaking at an event hosted by the Washington Automotive Press Association, according to a leading diesel group. Among its 2018 lineup of Buick, Cadillac, Chevrolet, and GMC, General Motors offered 13 models with a diesel-engine option, including new diesel offerings for the Chevrolet Equinox and GMC Terrain compact SUVs. The 2019 Silverado 1500 pickup will offer a diesel engine for the first time. "The diesel propulsion system remains a key component of GM's vehicle lineup,” said Pierpaolo Antonioli, GM's executive director of global propulsion systems, diesel sector. "Consumers around the globe continue to ask for diesel options, especially in our pickup truck and SUV offerings, where diesel can offer outstanding fuel economy and the range they demand." 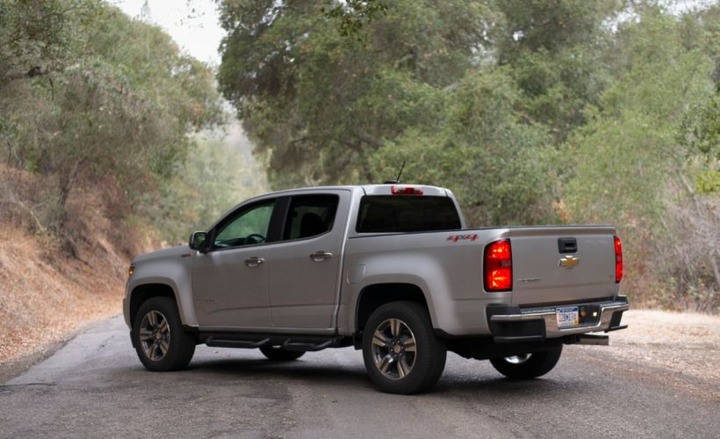 The Chevrolet Cruze added a new diesel engine in 2017, and the Chevrolet Colorado midsize pickup began offering a diesel engine with the 2016 model year. GM considers the diesel-powered Colorado a success, Mike Siegrist, GM's regional chief engineer, reportedly said at the event. "In the U.S. and Canada, the introduction of the Chevrolet Colorado diesel midsize pickup and the GMC Terrain diesel compact SUV have proven to be a success," Siegrist said. “Our diesel centers of expertise in Italy and the United States, where all our diesel engines are engineered, are poised to continue serving the world's diesel market for years to come." Among 2017 U.S. vehicles in operation from classes 1-3, diesel continues to hold a 3% share of the U.S. marketplace with nearly 8 million diesel-powered cars, SUVs, trucks, and vans, according to data from IHS Markit that was analyzed by the Diesel Technology Forum. Texas is the top state in total number of registered diesel vehicles ahead of California, Michigan, Florida, and Washington. States with the highest percentage of diesel vehicles include Wyoming, Montana, Idaho, North Dakota, and Alaska. “This generation of diesel vehicles is among the most scrutinized, tested, and most improved in the world," said Allen Schaeffer, the forum's executive director. "Looking forward, we expect diesel registrations to rise, especially in SUVs, trucks, and vans, in part due to full-year availability of the newest models. With the 2018 and 2019 model years, manufacturers are adding more than 10 new diesel models to the U.S. market, across the most popular vehicle segments." For the 2019 model year, diesel engines are coming to the Ford Transit Connect compact van and Jeep Wrangler. A recent survey by Vincentric determined that most diesel vehicles are more costly to operate than their gasoline counterparts, except vans that typically have a lower total cost of ownership than gasoline models.